One More Generation believes that art plays a significant role in children’s growth and learning, through personal exploration and skill building as well as appreciation. Art can also plays a major role in animal conservation, which is why we have teamed up with world-renowned artist and pangolin expert Louise Fletcher to launch our global Pangolin Awareness Campaign. Zoos, schools and museums offer their visitors who are interested in participating in awareness efforts an ideal opportunity to be part of their educational efforts via art. Our Pangolin Awareness Campaign was created to capitalize on the opportunity and afford the species an awareness platform. Did you know that pangolins are now considered the most poached and trafficked mammal on the planet? It is estimated that we have lost over 1-million pangolins in the last decade alone. That means we are loosing one pangolin (#Every5Minutes) every 5-minutes or 288 pangolin per day (compare that to 96 elephants per day). 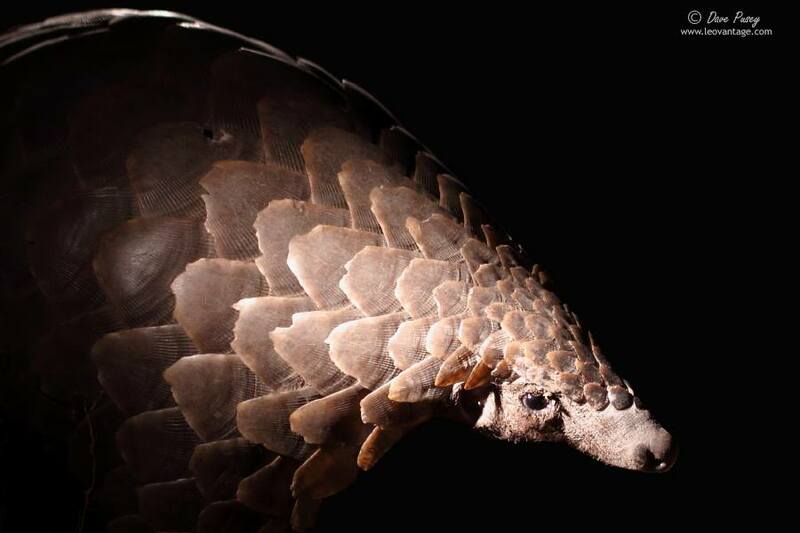 There are only eight remaining species of pangolin left. Four live on the African Continent and four throughout Asia. In Africa the animals are sought after for the ‘bush-meat’ trade while in Asia they are considered both a delicacy and in some countries and they are prized for their scales, which are believed to have medicinal value. Pangolin scales are made of keratin, which is the same as a rhino horn, your hair and your fingernails and all have been proven to have zero medicinal properties. Pangolins are mainly nocturnal and typically solitary creatures, which do not do well in captivity. Depending on where in the world they live, they either burrow in the ground or find hollow trees where they live and rest. They come out primarily to forage for food which mainly consists on ants, termites and in low insect availability conditions, larva. Pangolins are basically ‘Armored Ant-eaters’ and have little natural predators except man. Pangolins are covered with a hard set of scales over most of its body and when threatened, they roll up in a ball to protect their underbelly and wait until the predator loses interest and walks away. That same for of defense is actually aiding in their demise because it makes it easy for poachers to pick them up and carry them away. With the growing pressures from the illegal wildlife trafficking arena, it is even more essential that we raise awareness to the plight of the species before it is too late. We have created our global Pangolin Awareness Art Campaign in an effort to bring awareness to the situation and ask everyone to get involved in the conservation efforts before it is too late. Experts do not really know how many pangolins are left on the planet but they do now that at the current rate of deforestation of their natural habitat combined with the demands of the wildlife trafficking, the species does not have very long before we have reached the point of no return. It is our intent to use education as a vehicle to drive awareness and empathy for the species and in turn inspire others around the world to get involved. 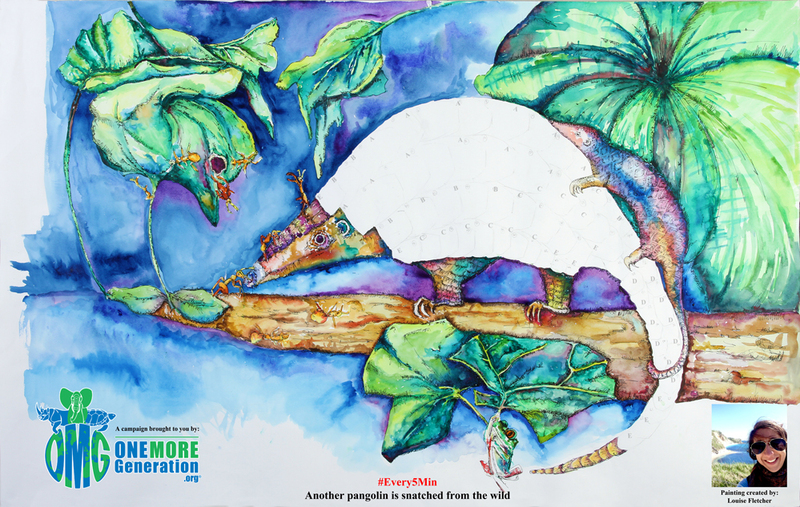 Louise has created a stunning 12-foot wide by 8-foot high watercolor banner which depicts the vibrant colors of the pangolins natural Asian habitat. The image has a Sunda pangolin with her baby on her back in the center of the banner. 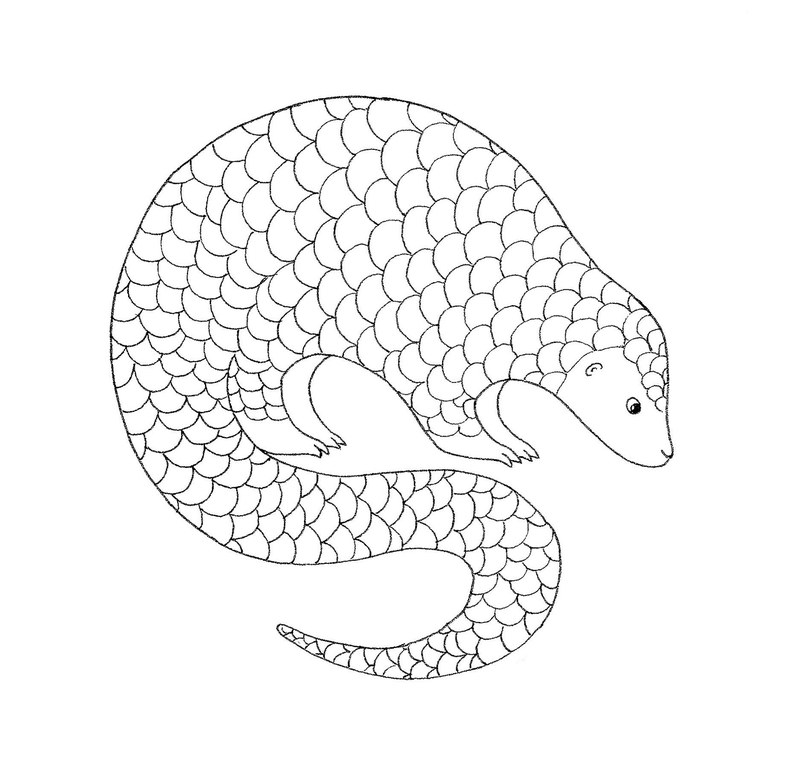 The pangolin is not colored; instead it has been drawn on as a black and white outline. We are then providing the zoos and schools with a complete set of pangolin scales, which are printed and cut out of a sturdy construction paper material. Each scale is lettered and corresponds with the letters on the pangolin sketch on the banner. 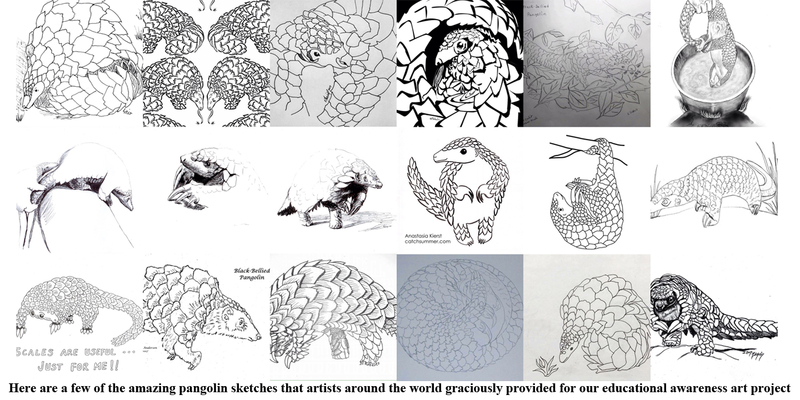 To further increase the visitor’s interest in the campaign, we have reached out to world famous artists from around the world and asked for their assistance in providing us with sketches and drawings of pangolins for the project. We are scanning their works of art onto the scales so each one acts like a coloring page for the visitor to color in as they see fit. Artwork will be provide from such award winning artists as National Geographic’s Asher Jay and Sharon Kwok, a famous actor and a campaigner of animal conservation. Alongside locals artists from the range countries where pangolins are found. Each art piece is signed by the artist and truly makes this installation a ‘one-of-a-kind’ masterpiece. We are then coordinating an educational presentation that the zoo and or school conducts which addresses the threats, beliefs, and various conservation efforts being done to save the species and the fact that with the recent ‘up-listing’ by CITES, to Appendix 1, prohibits international trade. We then invite visitors to color-in the scales, which will ultimately be attached to the banner with Velcro, which then make this art project a truly 3-D work of art. Our plans are to have the Hartsfield International Airport take the completed art projects from around the world and display them for the entire world to see. We are completing educational support materials as we speak. The entire campaign has been designed to inspire youth to learn more about the species and share their voice and support for the species. The completed artwork will visually engage everyone who passes by is afford the opportunity to shed light on why we all need to act now before it is too late. After the zoo is done showcasing the completed art piece, OMG representatives will make arrangements to pick up the completed banners and coordinate the delivery to the local museum and or airport. Here in the US we are already in conversation with the Smithsonian Institute, the folks at National Geographic, and with the US State Departments Wildlife Trafficking Department about showcasing several of the completed banners from around the world. 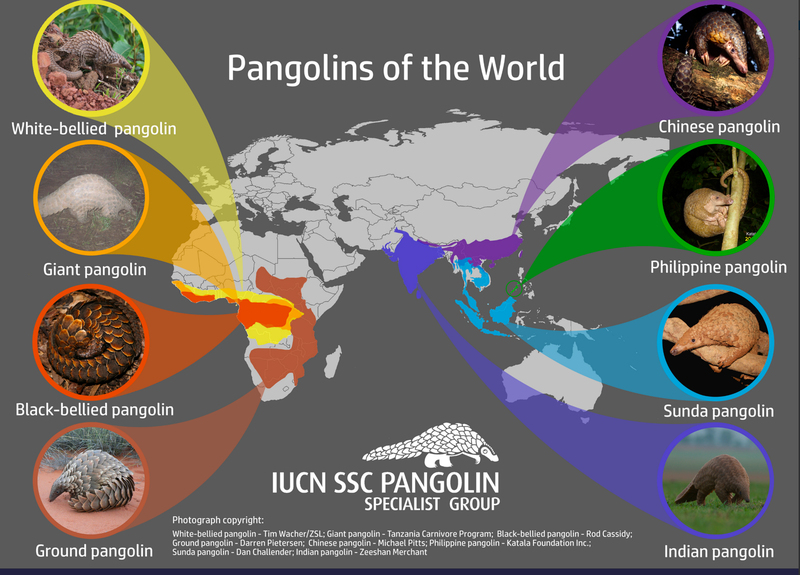 As you can see, the campaign has been designed to maximize the awareness about pangolins and about the conservation efforts being orchestrated around the world. 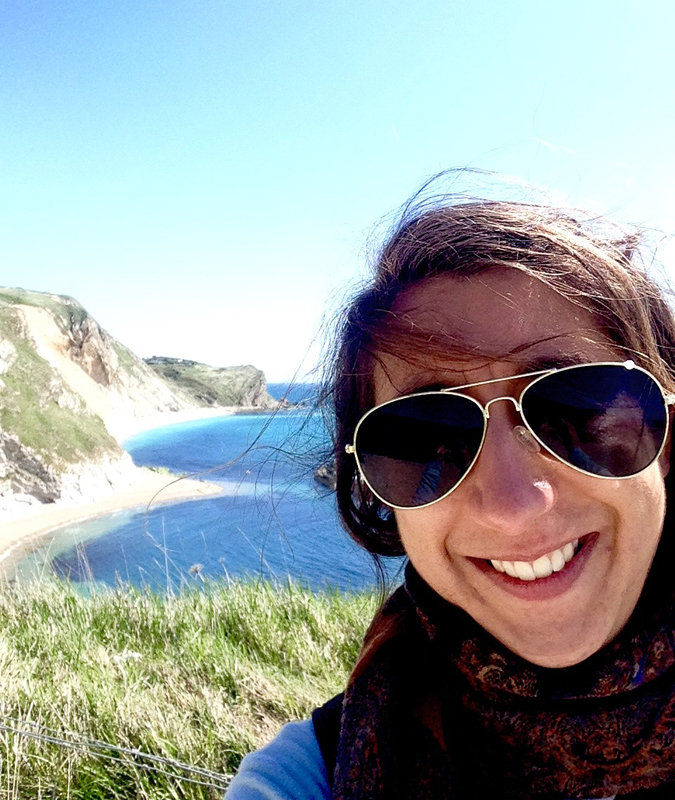 Having completed banners from around the world will allow you to showcase your conservation efforts and share your educational reach on a global scale. Thanks again for all the support and please let us know what else you might need from us at this point and we look forward to coordinating the event with you and your team. 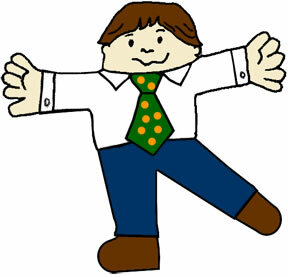 In 1994, Dale Hubert began the Flat Stanley Project in Ontario, Canada. Hubert had the brilliant idea of having children create their own Flat Stanley paper cutouts and mailing them to friends and family around the globe, in order to foster authentic literacy activities for kids and get them excited to write about Stanley’s adventures. Hubert invited other teachers to take part by “hosting” Flat Stanley visitors in their classrooms as they arrived in the mail, and encouraging students to keep their own Flat Stanley journals. 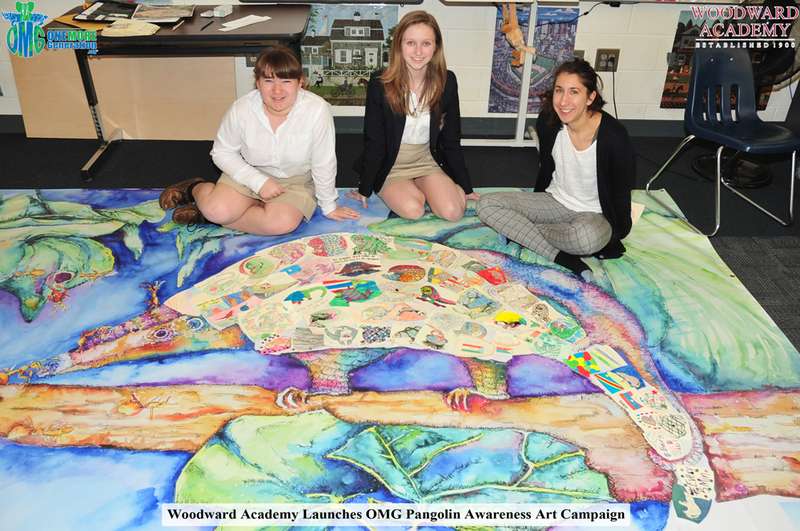 We are applying the success of this campaign to our awareness efforts and have created our very own Flat Pango. The image shown here is not the final version. The image will be black and white and allow students to color-in Pango as they see fit. The back of Pango will have important information about pangolins and students will be encouraged to share their knowledge about the species and take a picture of themselves holding Pango with the person they educated on the species. If you would like to bring this campaign into your school or community group, please email us and we will get you all set up. 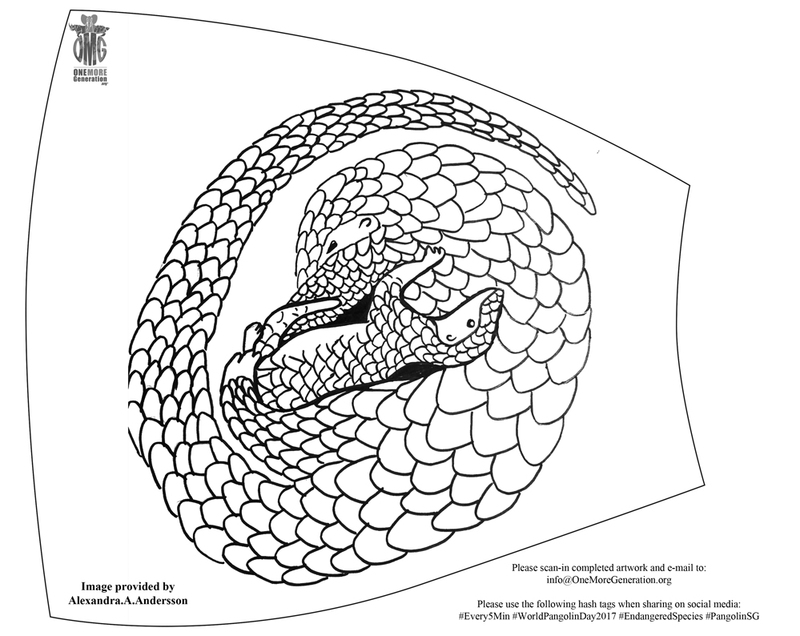 If you just want to decorate one of the pangolin scales for yourself, just download the scales from the link below and print it out. Make sure to add your name on the front of the scale after you cut it out and add where in the world you live so the whole world can see how far our pangolin conservation campaign has reached. Email us your completed scale or mail to the address above. Please don’t forget to share what you know with at least one person. Together, we truly can make a difference for pangolins. B., Panjang, E., Fletcher, L., Heng, S., Seah Han Ming, J., Olsson, A., Nguyen The Truong, A., Nguyen Van, Q. & Chung, Y. 2014. Manis javanica. The IUCN Red List of Threatened Species. Version 2014.2. Fletcher, L, Nguyen The Truong, A., and Phuong, T. Q. (2013). Rehabilitation and release guidelines for Sunda pangolin, Manis javanica, in tropical evergreen forest. October 2016: Tropical Biodiversity Conservation Conference (TBCC), Prague. Keynote speaker: The conservation of the Sunda pangolin. August 2015 and 2016: Rhythms of Rimba Wildlife Festival. Speaker about pangolin conservation. Ran an illustration stand encouraging members of the public to draw pictures and find out about pangolins. Presentation outlining the main barriers to Asian pangolin conservation. February 2015: Pangolin and small carnivore training, on behalf of 1stopbrunei supported by The British Embassy in Brunei, Brunei. Included school events (to approx. 700 children) and the training of local NPO staff, University students and Forest rangers. Designing and implementing several workshops and school events. 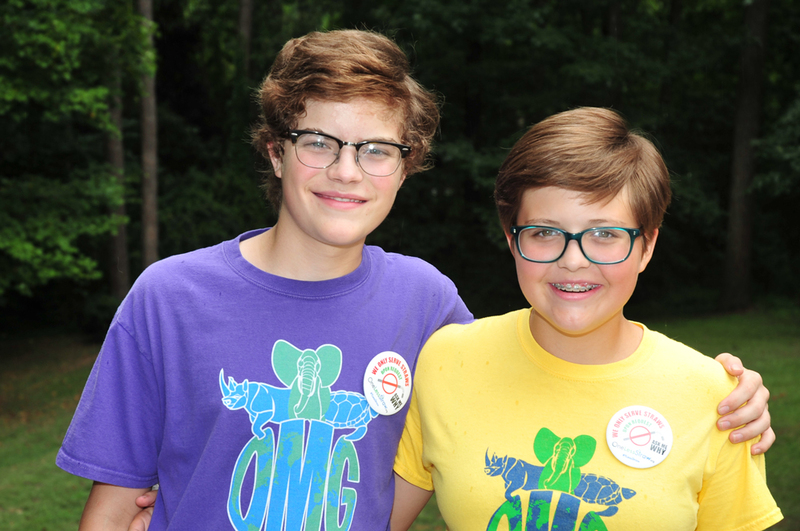 One More Generation – developing a pangolin awareness campaign. Wildlife Reserves Singapore – evaluating the use of dogs in the conservation of Asian pangolin. The Kukang Rescue Program – developing rehabilitation and release protocols and mitigating the conservation of Sunda pangolin in North Sumatra. Oakenday Press – promoting the sales of my illustrated book ‘A Pangolin Tale. Adventure of the Armoured Anteater’. Plastic and Recycling Awareness Curriculum.